Need a plant that’s deer-resistant, requires little water, looks interesting year-round, and attracts pollinators? ‘Meerlo’ lavender is the answer. Its soft-yellow variegated foliage looks stunning when planted near moody maroons and dark greens, like lomandra ‘Breeze’ or phormium ‘Black Adder’. Plus its pale blue flowers bloom in the summer and dry nicely for sachets and other crafts. Requires fast-draining soil (lavenders hate wet feet in the winter). This cascading evergreen grass-like plant is a striking well-mannered choice for year-round interest. 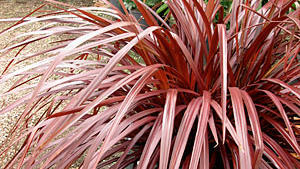 Small, white flowers make a summer appearance, but it’s the saturated burgundy color, the notable deer resistance, and low-water needs that make this cordyline a real stand-out. 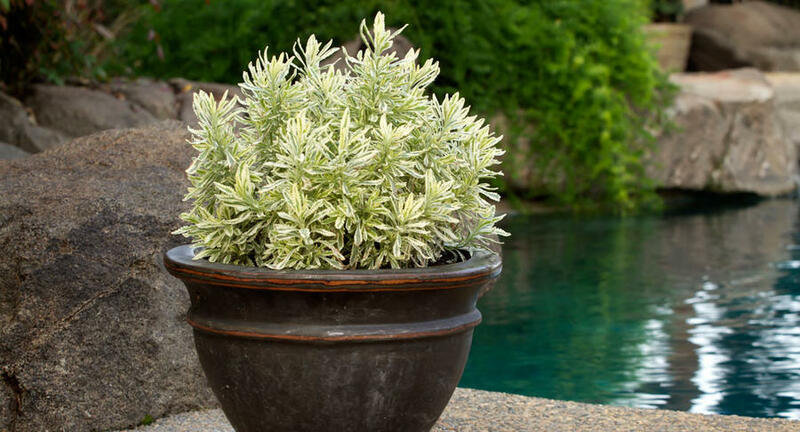 Ideal for containers, along walls, poolside, and hillside. A fuss-free evergreen shrub that provides all-year interest and color. Its chameleon-like foliage changes seasonally from springtime golden yellows to orange-red tones in fall. Deer-resistant and easy-care. Great on hillsides and mixed into perennial beds. 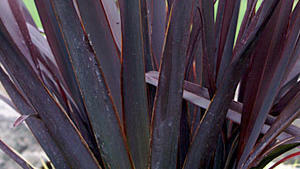 Evergreen deep burgundy blades adorn this water-wise foundation plant. Also deer-resistant, fire-wise, and salt-tolerant. Try as a focal plant in containers, on slopes, and in seaside gardens. 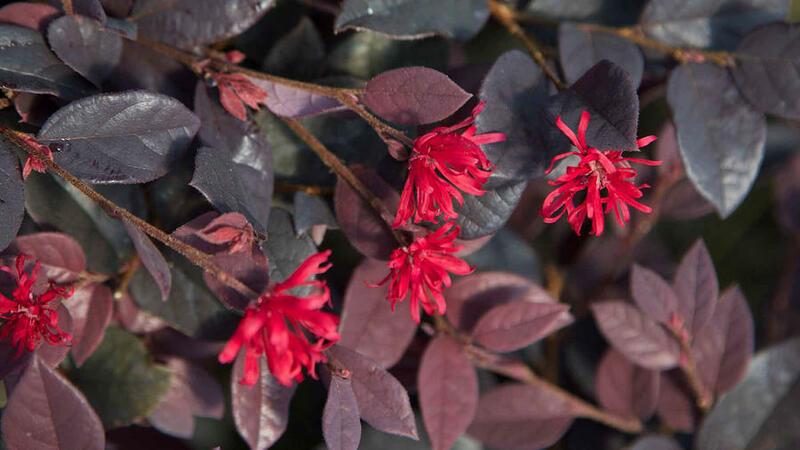 This is a tidy version of loropetalum that sports the reddest fringy flowers of all cultivars. Dark burgundy leaves stay attractive year-round. Makes a unique, quick-growing hedge. Heart-shaped leaves stand proud on clumping plants that come in numerous striking shades and color combinations. 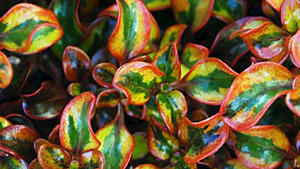 One stellar choice is ‘Stoplight’ (pictured) for its lime green leaves stained with blood-red centers. Small spring flowers add more charm to these beauties. Grows well in shaded rock gardens or as a groundcover in a woodland corner. 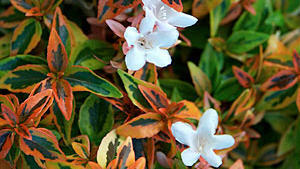 Small, glossy leaves blend bright gemstone colors together on this evergreen shrub. New leaves start emerald green with gold edges, and then oranges, golds, and pinks begin to marble in. Typically grows in a pyramid form, but with select pruning and shearing can be kept to any size and shape. Try it as a hedge or to hide unsightly house foundations. 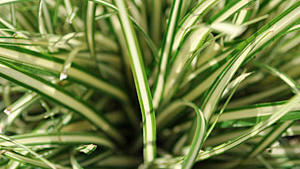 This popular grass-like plant earns its fine reputation by sporting green- and white-striped evergreen blades that add a bright interest to most gardens. Pair it with succulents and other water-wise plants. Also looks completely at home in seaside gardens and containers. Bold lime green stripes decorate this low, mounding grass-like plant. Brightens shady spots with little effort. Works well massed under a large tree, on deer-visited slopes, or tucked into pots. 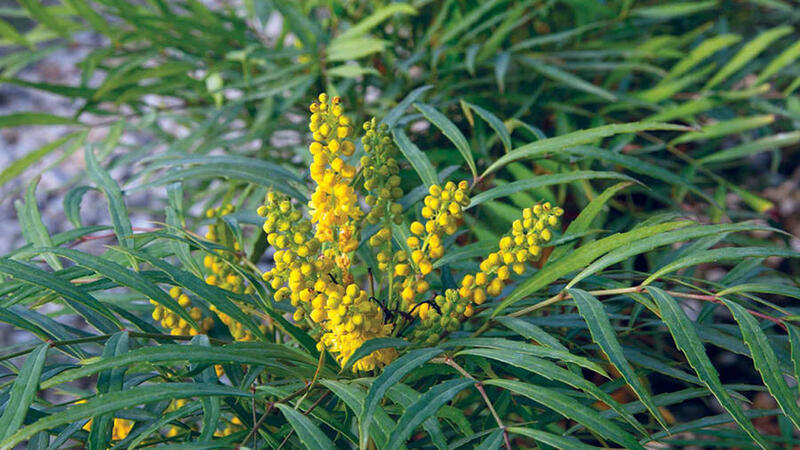 Thorns be gone on this versatile mahonia. A unique focal plant in a container or mixed into a shady perennial bed. The delicate texture provides year-round intrigue, plus it’s water-wise and fuss-free. Bright yellow flowers in the spring add to its beauty.